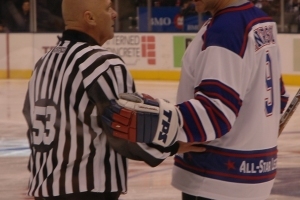 Ray Scapinello broke into the National Hockey League on October 17, 1971 and officiated his last game on April 2, 2004 – a 33-year stretch in which Ray remarkably never missed a game. 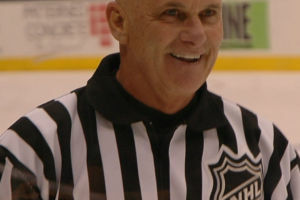 In addition to officiating 2500 consecutive regular season games, Ray also officiated 426 Stanley Cup playoff games, including twenty years in the Stanley Cup Finals. 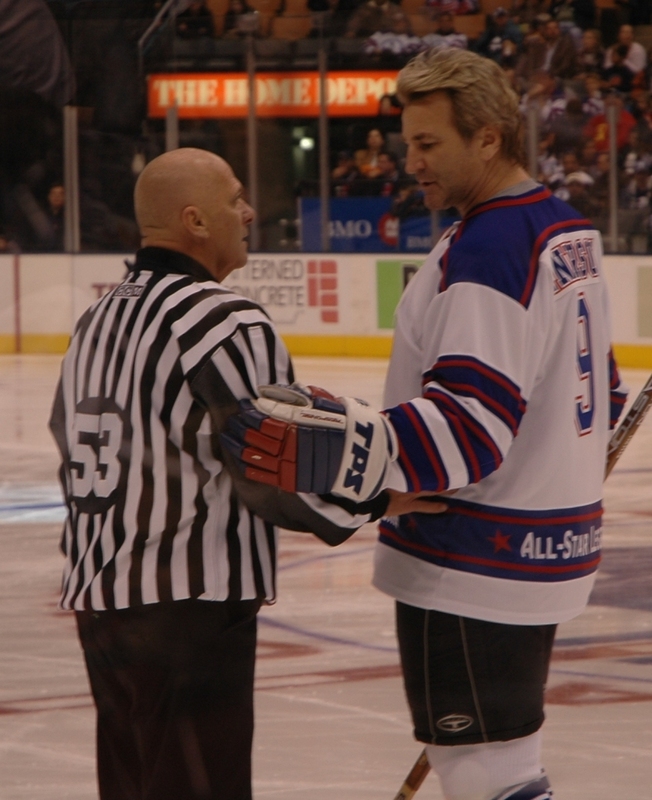 In recognition of his status as one of the most highly skilled and respected officials to ever lace up a pair of skates, Ray was inducted into the Hockey Hall of Game as a member of the class of 2008. Ray is also the co-author of the book Between the Lines: Not-So-Tall Tales from Ray “Scampy” Scapinello’s Four Decades in the NHL, which can be purchased at Amazon.ca. One of the most well-known and beloved figures in the NGL over his 33 year career. 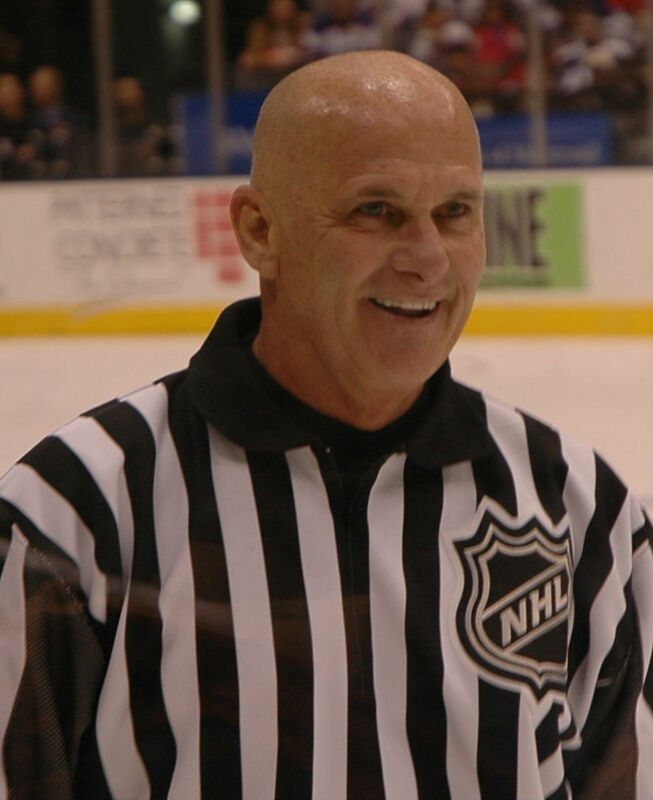 Ray Scapinello is an in demand speaker, engaging audiences with his stories of life as the iron man of NHL referees.